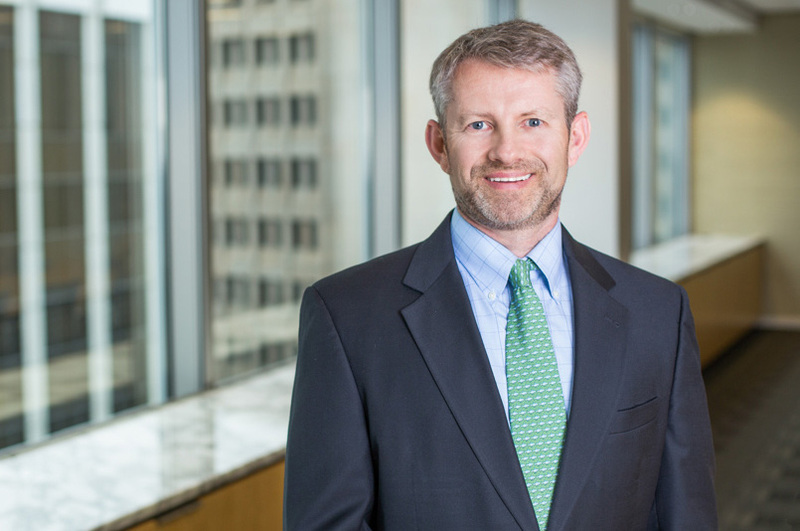 Gwilym Attwell is a Principal in Fish & Richardson’s Delaware* office, managing the local presence of Fish’s highly regarded patent prosecution and counseling practice. Mr. Attwell’s practice is focused on U. S. and foreign patent prosecution, opinion work, due diligence studies, and client counseling in the fields of biotechnology, medical devices, and pharmaceuticals. He also assists clients in the strategic development and monetization of internal patent portfolios, patent process implementation and the assessment of third-party IP collaborations. In addition, Mr. Attwell works with clients on post-grant proceedings, including inter partes review and post-grant review petitions, and general post-grant patent strategy. He is a frequent lecturer on topics related to practice before the Patent Trial and Appeal Board. Prior to his legal career, Mr. Attwell’s technical experience includes serving as a pharmacologist at Wyeth-Ayerst Research in the Bone Metabolism and Osteoporosis Research department, where he developed and implemented high-throughput screening assays to identify lead compounds and performed basic research using cell and molecular biology. He was also a research technician at the Cleveland Clinic Research Institute, where he performed research on pathogenic viruses, e.g., vesicular stomatitis virus and human parainfluenza viruses. *Not admitted to practice in Delaware – practice in Delaware limited to federal courts and agencies listed below or otherwise authorized by law. Member: BIO Pennsylvania BIO Delaware BIO Philadelphia Intellectual Property Association. Mr. Attwell has participated as an invited speaker at BIO-Europe (2007); Biotech PA NJ DE (2006, 2007; 2008; 2009); Temple University School of Law (2008); the University of Pennsylvania (2006, 2007, 2008), and the University of Maryland (2008). Mr. Attwell is on the programming committees for BIO2009, Pennsylvania BIO, and Delaware BIO. Named an “IP Star” by Managing Intellectual Property (2013-2016). Named intellectual property “Life Sciences Star” by LMG Life Sciences (2012-2013, 2015-2016, 2018). Recognized in “The World’s Leading Patent Practitioners” by IAM Patent 1000 (2012-2016). Ranked in Chambers USA (2013, 2014). Named a “Top Patent Prosecutor” by Patent Research Review/Patent Buddy (2011). “Knowledge Bridge: A View From the Trenches of the Most Active Forum for Patent Validity Challenges—the PTAB,” Consero 2016 IP Forum for Life Sciences (December 4, 2016). “Biologics Litigation and IPRs,” Fish Webinar (October 13, 2016). “Three Years Post-AIA: What Have We Learned?,” Moderator, Consero 2016 Global IP Management Forum (June 6, 2016). “PTAB Adjudication Process: Lessons Learned Over Three Years,” Thomas Jefferson School of Law IP Symposium: Aftershocks of the AIA’s Post-Grant Proceedings: Its Advocates & Critics (April 1, 2016). “Three Years After the AIA: What Have We Learned?,” Moderator, Consero 2015 IP Forum for Pharmaceuticals and Biotechnology (December 7, 2015). “Advanced Strategies for Life Sciences Companies: IPR and FDA Regulatory Strategy,” Georgia Bio Innovation Summit (November 2, 2015). “Old Dog, New Tricks: Forward-Thinking Trends for the AIA,” Consero 2015 Global IP Management Forum (June 8, 2015). “Foreign Filing Strategies – Considerations in Protecting Your Patents Globally,” Fish Patent Webinar (February 26, 2014). “The Eternal Balancing Act: Protecting Your Global IP And Sticking To Budget,” Consero 2013 IP Pharma Summit (December 8-10, 2013). “Post-Grant for Practitioners Part IX: Inter Partes Review and the Life Sciences,” co-presenter with Dorothy Whelan, Fish Post-Grant Webinar (October 9, 2013). “Maximizing IP Due Diligence to Minimize Risk,’ Consero 2013 Intellectual Property Management Forum (June 24, 2013). “First Inventor to File Under AIA,” Minneapolis Patents on Tap Series (March 7, 2013). “America Invents Act: Adapting to the New Rules,” Silicon Valley Life Sciences Series (March 6, 2013). “America Invents Act: Get Ready for the New Rules,” co-presenter with Teresa Lavoie and Todd Garcia, Boston Biotech Series (February 13, 2013). “Description proscription? Ariad v. Lilly decision to be reviewed by full court,” with Lauren Murphy Pringle and Michael Rosen, Industrial Biotechnology, Fall 2009. “The Bright Side of Nuclear Winter: Opportunities in the New, New Economy,” with Gene Barton, xconomy.com, January 6, 2009. “Maximizing IP value in an economic downturn (& beyond) in the life science industry,” with J. Peter Fasse, Jaclyn M. Mason, and Sean M. Daley, Industrial Biotechnology, Spring 2009.